Was Thomas Jefferson a Citizen? For a while (and even now) people were worried about Obama's citizenship and the situation of his birth. Some claimed he was born in Kenya, others that he was a citizen of Indonesia, some claimed he was a space alien, yada yada. Well there is a bigger story now looming on the horizon. 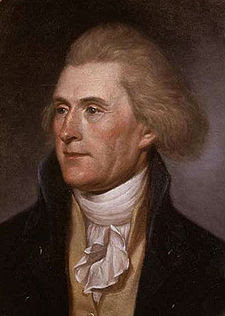 Archeologists recently discovered documents that indicate that Thomas Jefferson was born in Kenya. The piece of elephant hide inscribed with the date of his birth in hyena blood was found in the back of his wine cellar at his home in Monticello. This new discovery has shaken historians to the very core. "It means the Declaration [of Independence] was written by a foreigner. He was a tribesman who apparently led a very nomadic life," said Rich Holman, Historian from the University of Virginia. "It puts the whole story about him having affairs with his slaves on its head. Who knew he was one of them?" Apparently his Kenyan tribesmen knew. And, according to another document found near the record of his birth, he was married to his Kenyan wife before he married his American wife Martha Skelton. This new revelation about one of America's forefathers comes at an interesting time. 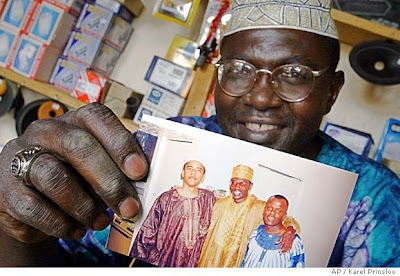 It seems as if Obama would have nothing to fear if he let out that he was indeed born abroad. The time has come to save the world. MJ tried and failed. Greenpeace tried and failed. The UN tried and failed. Who is left? He is our only hope, because, as we all know, Obe-wan-kenobi isn't real. However Robert Downey Jr. is clearly alive and well. Sure, a former drug addict might seem an unlikely savior, but he is still Iron Man. And that suit is awesome. And, what is it that makes Iron Man so awesome? His superior intellect. He is the best superhero because he can create just about anything, from anything, with his mind. I mean, who other than Iron Man could have built the suit he did while being held captive by terrorists? The answer is no one. 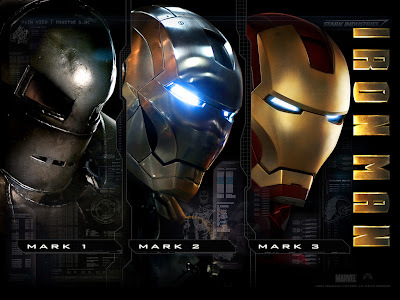 Iron Man 2 will be out in 2010. I'm stoked. The world will be saved. Soon.